A symbol of prosperity for the new year. Daruma dolls are symbols of good luck and wealth in Japan, often made to resemble the Buddhist monk Bodhidarma, who founded a sect of Buddhism that still maintains a large following: Zen. However, these figures occasionally swap out Bodhidarma for other personalities, including this timely take from Billionaire Boys Club, which sees the brand’s astronaut mascot emblazoned on the front of two dolls. Crafted by hand in Takasaki, a small city in Gunma prefecture, the thematic daruma dolls also sport “WEALTH IS OF THE HEART AND MIND. NOT THE POCKET” verbiage on the rear, slightly flipping the daruma’s prosperity-centric inspiration. 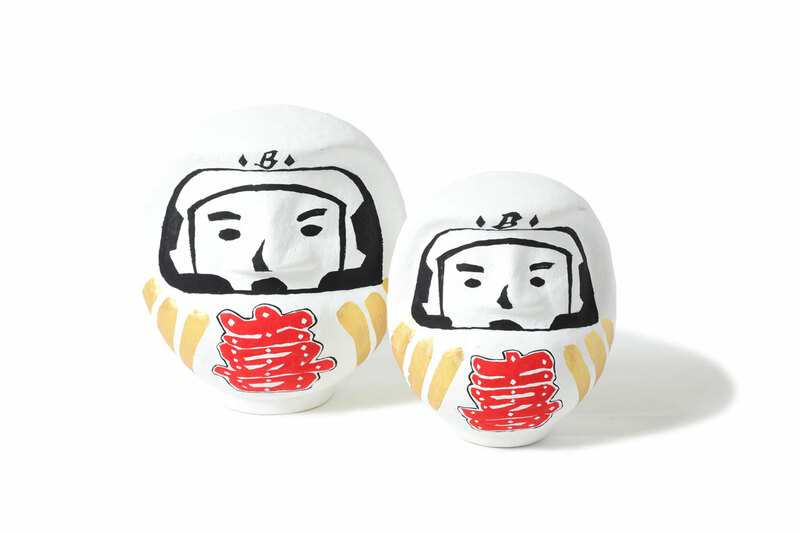 The astronaut daruma dolls will launch via Billionaire Boys Club Japan’s web store and domestic outlets on January 2. Most recently, BBC launched a seasonal take on its reversible hoodie.
. 2019 New Year Items "だるま" . ビリオネア・ボーイズ・クラブ東京、 オンラインストアにて2019年1月2日(水)より発売予定。 . releasing on 1.2.19 at the BILLIONAIRE BOYS CLUB TOKYO & ONLINE. . . ビリオネアボーイズクラブ東京 / BILLIONAIRE BOYS CLUB TOKYO 〒150-0001 東京都渋谷区神宮前4-25-1 ライサ1F-C RISA 1F-C 4-25-1 Jingumae, Shibuya-ku, Tokyo,150-0001 TEL:03-5770-0018 . ONLINE STORE http://billionaireboysclub-store./ . Slow Thai models the range. Channeling elements of the Air Max Plus TN.